Sound Eye and Laser employs the most state-of-the-art Photo Refractive Keratectomy (PRK) and Excimer laser surgery techniques available in the Seattle, Washington area. The difference between Photo Refractive Keratectomy and conventional LASIK is during LASIK, a corneal flap is created and the laser is applied to the inner tissue of the cornea. With PRK, the epithelium (outer portion of the cornea) is removed and a laser is applied to the surface of the cornea. Photo Refractive Keratectomy is often used to correct low and high levels of nearsightedness, farsightedness, and astigmatism and is most commonly done for those serving in the military or avid scuba and sky divers. 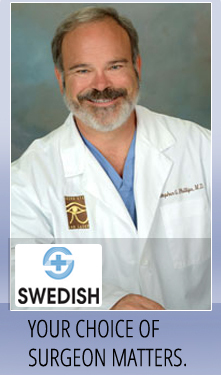 PRK has enabled us to offer some of the most individualized treatment available. Farsightedness is treated with PRK by making the flat cornea steeper and removing tissues from the outside of the central optical zone of the cornea. This moves the point of focus from behind the retina to directly on the retina. Nearsightedness is treated with PRK by making the steep cornea flatter and removing tissue from the center of the cornea. This moves the point of focus from in front of the retina to directly on the retina. Astigmatism is treated with PRK procedures by making the cornea more spherical, less rounder and oblong. This eliminates multiple focusing points within the eye and creates one point of focus on the retina. Astigmatism can also be treated during farsightedness procedures. PRK is the preferred procedure for those employed by the military, and avid scuba & sky divers.